One of the top 10 tourist sites in China is the World Heritage Site of Lijiang, a small town in the mountains of the Yunnan Province. It was ankle to elbow full of tourists, but that didn’t stop us from enjoying the people and culture that abound. In 1996, an earthquake rocked Lijiang, leveling most of the more modern, concrete structures, but leaving in tact much of the original Naxi architecture. The Chinese took note and have rebuilt the city in the same style. 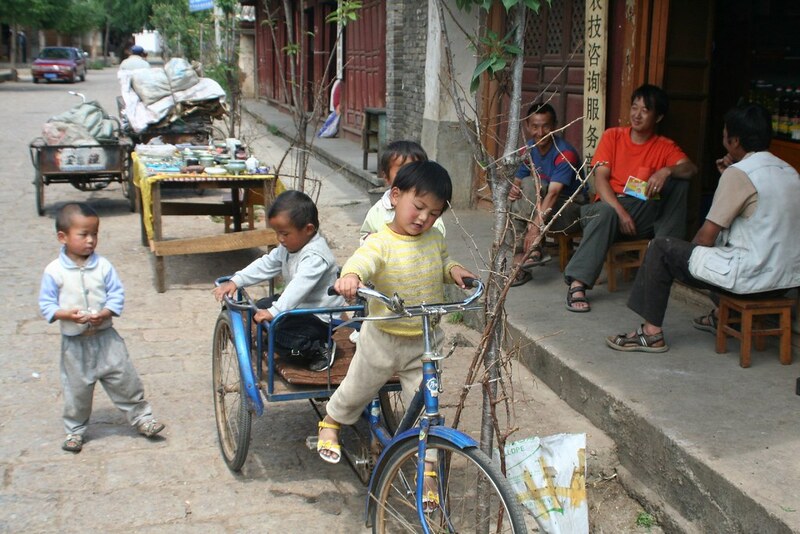 The result is a quaint Old Town that meanders along the hillsides and canals of Lijiang. On a clear day all of this is set to the backdrop of the majestic Yulong Snow Mountain. But what really makes the city charming is the Naxi people – one of the minority cultures that still exist in the southwest region of China. The Naxi are quite interesting for a number of reasons. First, they are matriarchal and continue to practice “walking marriage” where women choose their partners and pass their name on to their offspring. Another unique aspect of the Naxi culture is their use of Dongba script – a series of pictograms. Like so much of the minority culture in China, the use of the language was either destroyed during the Cultural Revolution or discouraged in year’s since an effort to nation build. Efforts are underway to revive the language today. Finally, the Naxi orchestra is probably one of the most popular events in Lijiang. The orchestra is made up of elderly Naxi men playing various instruments. It dates from the Song Dynasty and is one of the few forms of minority music that continues to thrive today. And if you saunter down to Old Town in the evening, you can hear the gentlemen play. Yes, it is over run with tourists, but for now that doesn’t take away from the beauty of the local Naxi people. And the Naxi sandwich is pretty good too!